Be careful of your neighbors. And especially neighbors you are using to babysit your kid while you go off screwing around. 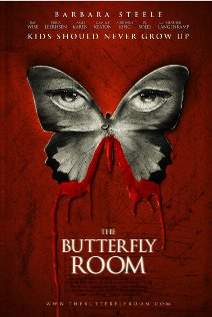 Ann, the neighbor and main character of this movie has an obsession with butterflies. She in fact has a special room called the butterfly room that has all of her “pinned” butterflies. This reminded me of Silence of the Lambs and the killer loving his moths. And she is creepy about butterflies and little girls. Barbara Steele is great in this movie. I think she would have been scarier though if she would have moved a little bit quicker in her actions. The little girl Julie does an adequate job. I hated the way they kept flipping back and forth again and again to Ann’s daughter in the bathtub. Way too much filler sequences. The ending was decent with the very last frame. I thought it was a pretty good horror film and give it a 7. I’ve been doing MyCokeRewards for several years now. I have received several gifts from them including t-shirts, cookie jar and a spice rack to name a few. I use my points to get a subscription to Club Pogo all the time. Unfortunately, it seems they are starting to faze that benefit out. But the prizes I’ve chose either online or through the mail have all come very quickly. Big thumbs up to Coke for that! MyCokeRewards is a once a week easy way to get “something” for free. 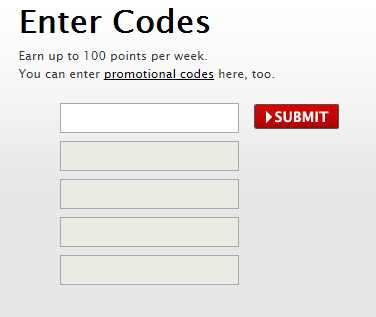 Coke cap codes are worth 3 points apiece and you are allowed to enter up to 100 points a week. I generally do this on Saturday morning. It takes me probably 15 minutes. The counter resets on Monday at 12am EST. You just enter the letter and number combination found on the inside of coke caps or written inside the cartons. Some people online will post codes they don’t want. Remember that there are no “O’s” as in a letter, all of the circles symbols are the number zero. I used to have to take a plastic liner out of the caps to be able to read the number, but those are no longer in there making it easier. A tip to read any of the caps except for the black Coke Zero ones: Put the cap in front of a flashlight. The light shines through and makes it easy to see the number. I have read about using vinegar to fix a clogged shower head many times. Well the other morning, my shower was but a sprinkle. Not good for getting to work on time. So, I decided to try out this remedy before doing something drastic. Yesterday after I came home from work, I got out 3 sandwich baggies. Just the cheap kind that don’t have the zipper top. I put one inside the other and then another inside that to reinforce them and to make sure nothing was going to leak. Then I got my bottle of plain white vinegar and headed to the bathroom. I also retrieved an elastic hairband to use as a rubber band. I got a good grip on the baggies by the sink and poured some vinegar in, just about half full. Enough so the shower head would be completely covered. I poured slowly and kept my hands holding a good portion of the top of the bag so the vinegar wouldn’t spill out. Then I carefully pulled the bag up and over the shower head making sure the spout was completely submerged. I used the hairband to fasten it securely so the bag and the vinegar stayed put. And that was it. I got up this morning and without doing anything else, I pulled the bag off and disposed of it. I turned the shower on and Yippee ~ WORKING!! One important point I want to make about going to brand product websites is to look around. If this is a product you buy and like, look for free samples, coupons and newsletter signups. If there is a club, join. Club members sometimes get special offers or freebies (at times). So it is a benefit to you to roam around the site. If the site has a search box – use it. Search for keywords such as sample, promo, gift, coupon or free. Sometimes you get lucky! See if you qualify for samples – this is very easy. Also printable coupons. • Joined FitBit group on Facebook and now have friends who are challenging me. The first challenge starts tomorrow – a Work Week Hustle. • Joined Refund Cents website for coupons/refunds/deals. • Laid out/hung up clothes to dry instead of using dryer. 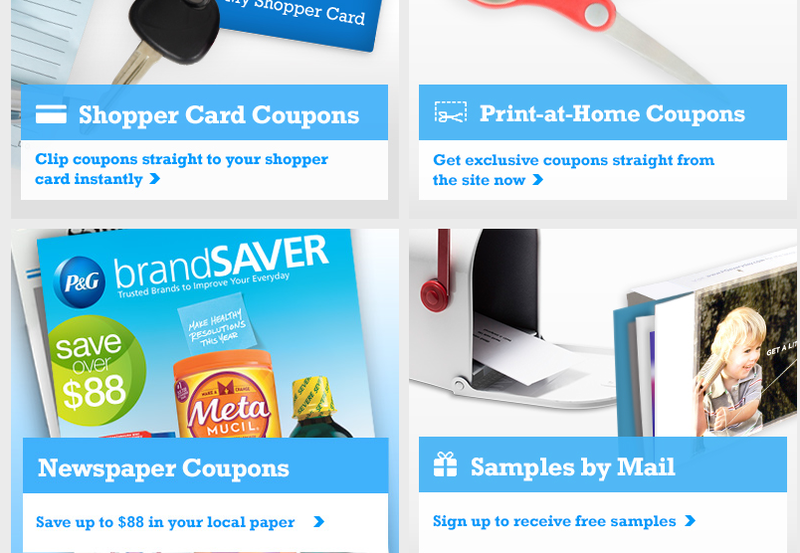 • I now have a printer to print out online coupons & rebates. The printer’s black ink cartridge cost ~$14 vs almost $30 for the black ink cartridge for my last printer which wasn’t working well anyway. So in the long run I will save money multiple ways. • Got food ready for my work lunch tomorrow. I’m doing good with taking things to eat and not blowing money on high cost food at work. • Made meatloaf with things I already had to eat for several days. • Started reading and commenting on Miss Peregrine’s Home for Peculiar Children with a book club I am in on the SparkPeople website. • Downloaded 2 Kindle First books to read. • Vacuumed computer room and bathroom. • Washed work clothes for the week.